Summer is over for us. All my children are in school this year, even Little Miss. Her teacher is Mrs. McDonald and the kindergarteners keep calling her Mrs. McDonalds ha ha It's very cute and reminds me how my first graders last year called me Mrs. Celery. The biggest regret this summer was not being able to camp. With my graduate classes and D moving to a new school that's on a different calendar, we just didn't have a chance. The solution was to bring our favorite parts of camping home. The kids pitched the tent in the backyard and slept outside for more than a week. 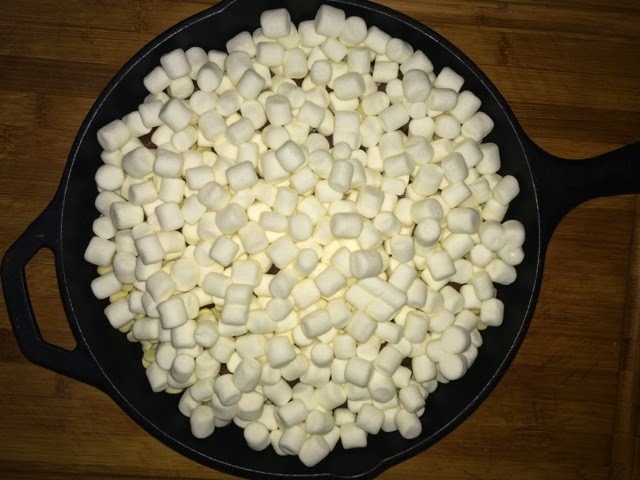 Normally, when we do indoor s'mores we just roast the marshmallows over the gas stove. This time, we wanted something a bit more... Fun. 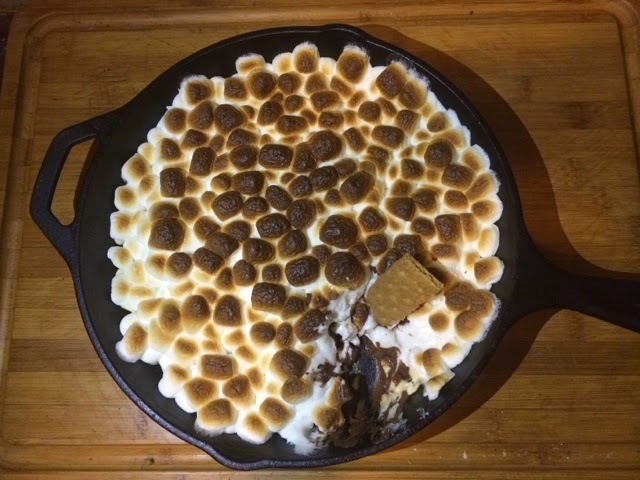 These aren't your typical s'mores. 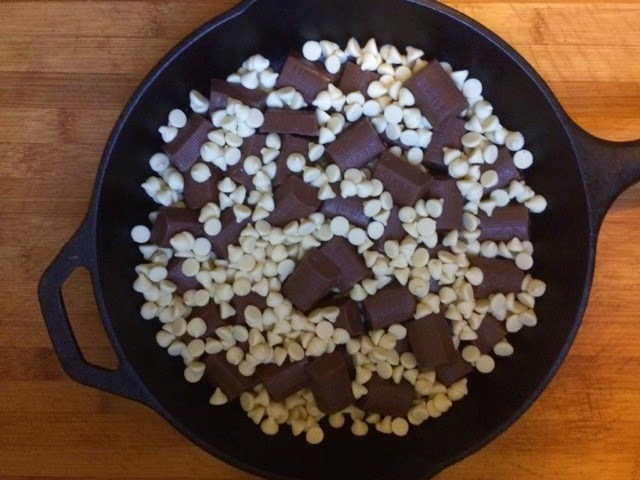 We used white chocolate chips and Hershey nuggets layered in a cast iron skillet. 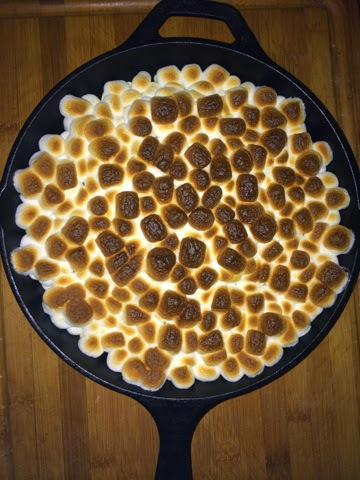 Next, we topped it with mini marshmallows and placed it in a 400 degree oven for 10 minutes to melt the chocolate. After everything was melty, I turned the broiler on to give the marshmallows a nice toast. 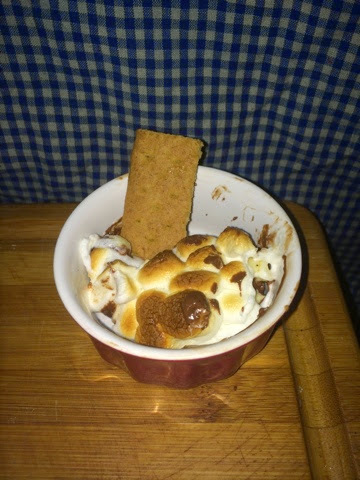 Scoop into little ramekins and dip in your graham crackers! 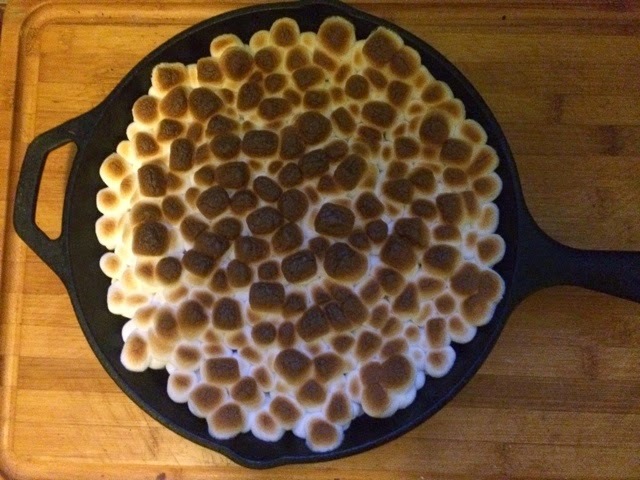 This was a small cast iron skillet and it made quite a bit of dip. It took 1 bag of white chips and one bag of chocolate nuggets.